There have been many great individuals who had fought for the country’s independence, including Pahang’s Mat Kilau whose name was so significant that his name remains unforgettable even up to today. However, not many of us really understand his actual story for as he was a private man. Around 1890s, the people of Pahang were outraged due to British colonisation that brought about the installation of the British Residents system, the way they took over tax collection and the alienation of Malay chiefs like Dato’ Bahaman and Tok Gajah from the political and economic system. These caused tensions within Pahang and led to formation of rebellions that became known as the ‘Pahang War’ between the chiefs and the British. Some significant events that took place included the recapturing of the fort in Lubok Terua and the battle in Kuala Tembeling. It was thought there was no single warrior survived the war to live and tell the story – until one fine day in December 1969 when Mat Kilau returned to his village at Kampung Masjid, Pulau Tawar, Jerantut, and revealed himself to the locals. Of course, such claim drew an extensive investigation, hence Pahang State Government set up a committee to verify the story. On 6 August 1970, Pahang Chief Minister, Tan Sri Haji Yahaya Mohd Seth, declared that the man was indeed Mat Kilau. The hero managed to share his side of story on the historical events happened in Pahang; however, days after his official declaration, Mat Kilau eventually passed away. Today, local people and international visitors alike can learn the story of Mat Kilau in depth by visiting a special gallery attributed to him. The Mat Kilau Gallery opens everyday from 9:00 a.m. until 5:00 p.m. on weekdays or 10:00 a.m. until 6:00 p.m. on weekends. Travellers are recommended to spend an hour or so here to read all displayed information based on verified sources and watch the video presentation on the said national hero and the chronicle of ‘Pahang War’ – you’ll be amazed at how much you will be able to learn about Pahang’s history. Entrance to the gallery is free. However, should travellers prefer a more hands on experience, then they could opt for the Mat Kilau Trail that takes them exploring historical sites like Mat Kilau’s well, Parit Dalam fort, ‘Lubang Penereh Emas’ (deep holes in the ground due to gold mining) and Kampung Empau cemetery where the local fighters who died in battle during the Pahang War are laid to rest. Not far from this village is Mat Kilau’s own grave that is surrounded by his mother’s and his strong followers’. Not far from Jerantut, where Mat Kilau was born, is Kuala Lipis, the town that used to be known as ‘Little England’ among locals and visitors alike. The town is haven for people who are interested in colonial architecture. There are countless prominent and handsome structures scattered around the town such as the Malay Hostel (1926), Kuala Lipis Railway Station (1926), Pahang Club (1907), Resident Guest House (19222) and Clifford High School (1913), which has the current ruler of Pahang Sultan Haji Ahmad Shah ibni Tengku Abu Bakar Shah and Malaysia’s celebrated singer and businesswoman Dato Siti Nurhaliza binti Tarudin as part of its illustrious alumni. Another interesting spot is the former SUK (State Secretariat) house (1926), used to be the home of Malaysia’s second Prime Minister Tun Abdul Razak bin Hussein when he was the state secretary. This is also where the current Malaysian Prime Minister, Dato’ Sri Mhammad Najib bin Tun Abdul Razak, was born. Today, the house has been transformed into a gallery that features the background of the head of the government along with Pahang culture and history. Travellers who wish to participate in the guided Kuala Lipis Heritage Trail may contact Mr. Abdul Ghani (Kuala Lipis Tourism Officer) at +6 019 9494 700. When it comes to lodging, travellers to the area may consider staying at the award-winning Homestay Sungai Pasu. The major aspect of this experience is the chance to live like a local, which comes with homely accommodation and amazing home-cooked dining opportunities. It is also an inexpensive way to travel travellers need to pay around RM50-RM70 per person for roof over their heads and meals. There are various activities available here like Javanese cooking demonstration, rubber-tapping, craft-making, visiting the aboriginal village, picnicking and witnessing cultural shows. Contact Puan Sumi for more details at sumi_ngahdimi@yahoo.com or call her at +6 019 314 8978. Finally, end your journey in Pahang with an adventure trip to Kenong Rimba Park, featuring more than 20 unspoilt caves that come with their own unique formations and interesting legends. Some caves were said to have been used as escape routes for Mat Kilau and Dato’ Bahaman when they escaped to the neighbouring state. It takes about an hour’s ride on a four-wheel drive to reach Kesong camp where visitors may opt to stay in tents or chalets based on their liking. Only a few wonders of Kenong Rimba Park are open to the public such as Gua Buta, Gua Harimau and Gua Hijau, each with its own charm. My favourite is the challenging Gua Buta, named after the pitch black darkness inside its chambers. It features outstandingly beautiful and strange cave formations made up of glittering minerals that sparkle like brilliant gems when illuminated. Do take note that permit from the Kuala Lipis District Forest Office is required prior to entering the park. 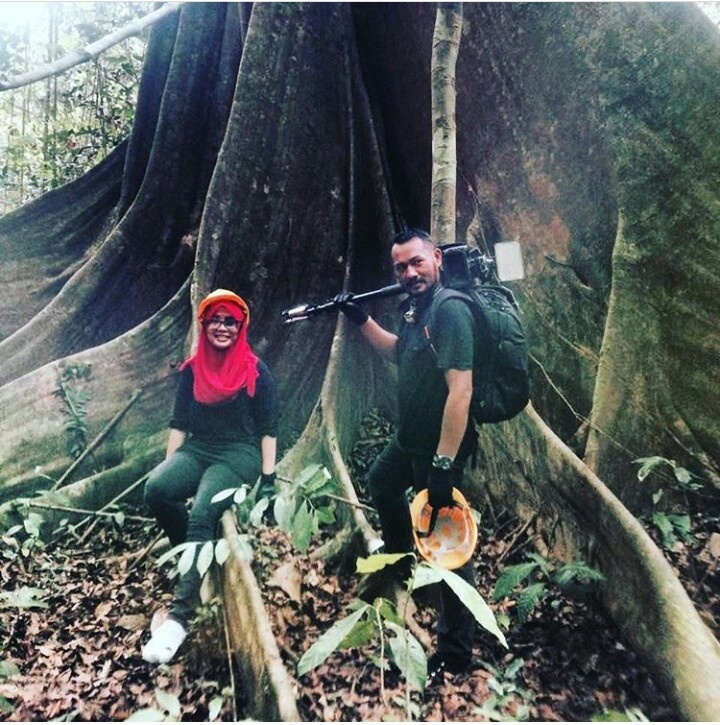 Therefore, it might be more convenient for interested travellers to book their trip through tour operators such as Tuah Travel & Tours (+6 09 312 2292) that will arrange the permit, find you a qualified and registered guide, transfers, meals, accommodation and activities (caving, bird watching, kayaking, etc.). Expect to pay approximately RM300-RM350 per person for a two-night adventure in the park. Also, a maximum of three nights stay policy is in order here for each visitor. Words of advice: do wear light hiking shoes and non-bulky clothes, as well as bring torchlight since there is no lighting, no handrails and no walkways when exploring the caves. Also, be mindful that cave exploration is a strenuous activity that requires a certain level of fitness. Gaya Travel Magazine extends our heartfelt gratitude and appreciation to Tourism Malaysia Pahang for making our trip to Pahang a reality.